Iberia aircraft at Barajas Airport, Madrid. The loss-making airline faces a battle to survive. Spanish airline Iberia plans to shed 4,500 jobs, or 22% of its workforce, as part of an overhaul aimed at rescuing the struggling airline. International Airlines Group, formed from the merger of Iberia and British Airways in 2011, said the Spanish carrier would cut capacity by 15% across its network and remove 25 aircraft from service. Iberia has a natural advantage in long-haul routes to Latin America, thanks to its geographical location and historical ties, but low-cost carriers have taken an ever greater share of its short and medium-haul business. It has also been hit hard by the economic crisis in Spain and Europe. "Iberia is in a fight for survival and we will transform it to reduce its cost base so it can grow profitably in the future," IAG chief executive Willie Walsh said. IAG made an offer Thursday worth €113 million to buy the 54.15% of Spanish low-cost carrier Vueling it doesn't already own, and said it expected to generate savings from fully integrating the Barcelona-based airline into the group. 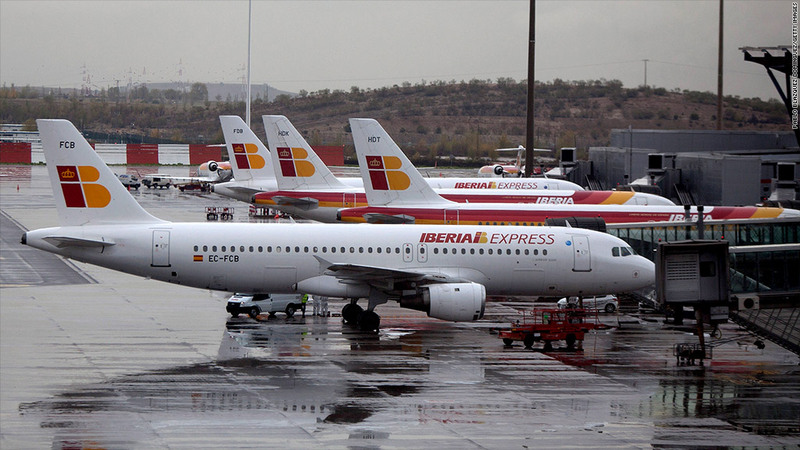 Iberia chief executive Rafael Sanchez-Lozano said the airline was unprofitable in all its markets and warned of more drastic action if unions fail to agree to the restructuring plan by the end of January 2013. "If we do not reach consensus we will have to take more radical action which will lead to greater reductions in capacity and jobs," he said. IAG posted an operating profit of €17 million in the nine months through the end of September. Iberia's loss of €262 million almost entirely wiped out profit of €286 million at British Airways. "The revenue trend in quarter three was restrained somewhat due to the London Olympics, but we are so far observing that underlying unit revenue is returning to its positive trend in quarter four," IAG said. It expects to post an operating loss of about €120 million in 2012 after exceptional items and losses at its bmi subsidiary.